When I decided to pursue self-employment in July 2017, I always knew it would be a bumpy ride. I didn’t have a solid business plan or any real clue how I would make it work, but I knew it was the right step. So far, entrepreneurship has challenged me mentally, physically, and emotionally and has taught me the true meaning of self-discipline. Despite the ups and downs of the past few months, I’ve maintained one priority that fuels my work: self-care. As entrepreneurs, business owners, side hustlers, and bloggers, it’s easy to put our work before anything else. It’s easy to tell ourselves, “I should be working instead of x, y, or z.” Of course, we want to feel like we’re making progress and not staying stuck in the same place for too long. That being said, we desperately need to take time for ourselves and to peel ourselves away from our projects and the tasks that never end. As your fairy blog mother (ha! 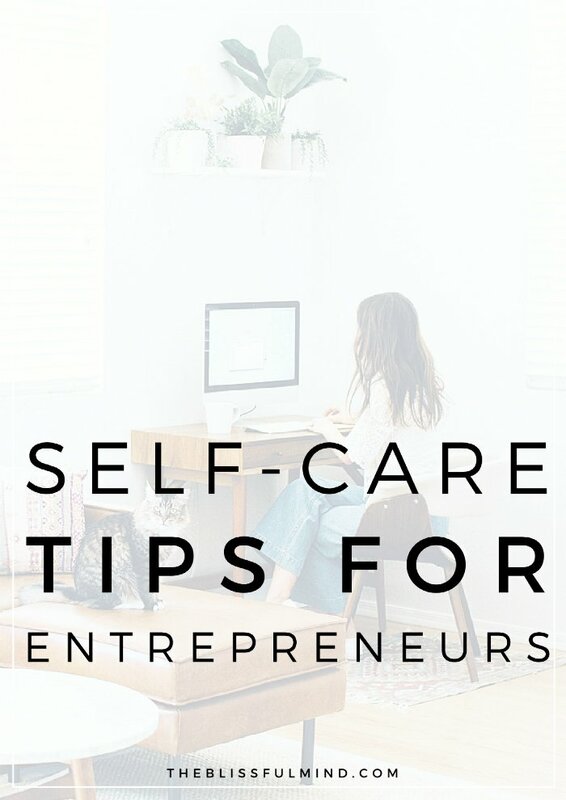 ), I want other entrepreneurs to know that it IS possible to build your business while practicing self-care at the same time. I want your business to thrive as much as you do which means you need strategies and tools to avoid burning yourself out. Even if you’re not an entrepreneur, I’m sure you’ve experienced some form of guilt around taking time for yourself. If so, this post is for you. And if you’ve ever said, “I don’t have time for self-care” or “my work is more important than self-care”, this post is for you too. No matter what your situation is, lack of time is the most common excuse for not practicing self-care. Full-time entrepreneurs most likely experience the struggle of never-ending tasks. The more time you have in a day, the more you feel the need to fill it with tasks (even if they’re not super important tasks). When you have more time in your day, it becomes harder to prioritize. It’s a nice problem to have, but it requires self-discipline to not constantly be working on any idea that pops into your head. On the other hand, if you’re a part-time, side-hustling entrepreneur whose schedule is dictated by someone else (your boss, the 9-5, etc), you’re going to have a lot less time to work on your passion projects. You have to wake up early, go to bed late, or work during your lunch break in order to get your blog/business tasks done. I get it. Time IS a factor. But the biggest hurdle to overcome here is your mindset around self-care. So many people said they feel guilty if they ‘indulge’ in self-care. There was a theme of feeling like we “should” be filling our time with work instead of self-care. When you have a business or side hustle, there is always something MORE that could be done. It’s the nature of the work. Nothing is ever truly done. Sacrificing your health to try and get more done is not going to result in your business’ success. Creating content that comes from an unfocused, burnt out, lethargic state WILL never compare to work that comes from a place of inner alignment. If you don’t take the time to take care of your health, the quality, consistency, and creativity of your work will cease to exist. You have to take care of yourself in order for your business to thrive. 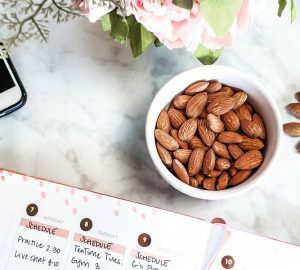 If we want to make self-care a priority within our businesses and our lives, we have to focus on two things: 1) mindset and 2) time management. 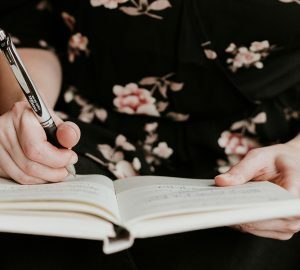 No matter how much time you have in your schedule, you will never make self-care a priority if you do not believe that it’s just as important as your work. When I launched my first program in December, I worked myself to the ground to pull it together. That week, I let go of the self-care practices I usually did (yoga, meditation, walking, journaling) and everything unfolded. I remember the Tuesday I was launching it, I spent the night anxious beyond belief, worrying myself about getting things ‘perfect’. I literally threw up in the middle of the night because of how anxious I was. The irony of the whole situation is that the program is called 21 Days of Calm. LOL. Beyond that instance, I’ve been trying really hard to create a business plan that is not based on the hustle mentality. My goal is to run a business that allows me to keep my mind as blissful as possible. If I wasn’t doing that, I would be going against my own values. If I’m not following through on the actions that make up the ENTIRE focus of my blog (self-care, mindfulness, etc), then I have no business telling you how to do it. Now, self-care might not a current value of your business. But if you are doing this alone, remember that you have to take care of yourself in order for your business to thrive. There is no room for “feeling guilty” about it. You have to decide the reason behind practicing self-care in terms of your business. Think about these things: How will practicing self-care help your business? When you are in a clear mental space, how can you help your customers? What will you be able to achieve if you are thriving instead of surviving? After (and only after) you’ve figured out the mindset stuff, we need to focus on time management. Before I became self-employed, I was juggling a full-time job, grad school, and a blog. Now, I’m juggling a business, a contract part-time job, and volunteer drill team coaching. Though I do have more flexibility than most people, I don’t have all the time in the world. I make self-care work around this because, no matter what, self-care is one of the biggest priorities in my life. In my mind, I KNOW it’s important. If you create your own hours every day, it’s your job to schedule in time for self-care. No one else is going to do it for you. You have to define what it looks like to practice self-care and how you can make it work with the hours you have. 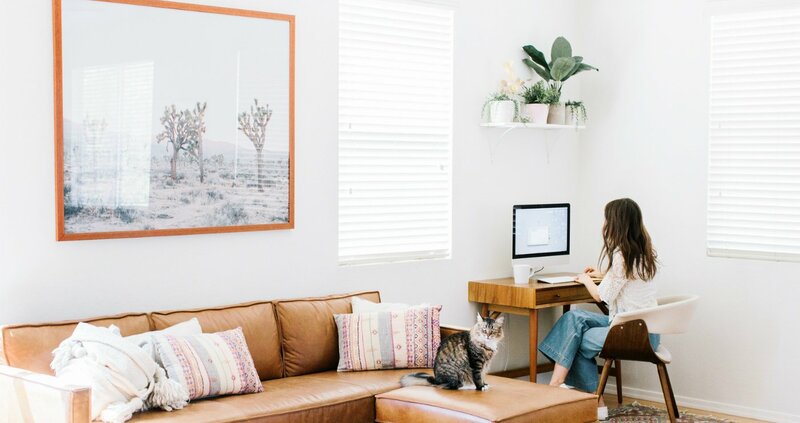 If you don’t create your own hours and use your free time to work on your business/blog/etc., you’re going to have to get REALLY disciplined with your time. Set specific times for when you’ll start and stop work. Avoid distractions so you can get stuff done but still have time left for self-care. And if you still don’t feel like you have time for it, it’s because you don’t consider it a priority. And if it’s not a priority right now, then so be it. But if it’s something you truly want to make part of your life, you’re going to have to sacrifice some time somewhere else. We all spend too much time on technology, but entrepreneurs especially need breaks from screens. Not only do you need breaks from the glare, it’s important to get away from the ideas of other people. I’m sure you spend as much time consuming content as you do creating it, so make sure you are not getting swept up in other people’s ideas and opinions. It’s also important to take a step away from every message or email you might get from people. Create boundaries around the times when you’ll be able to respond. Related: Take The Free 7-Day Mindfulness Challenge! Get together with people within your niche and those who have nothing to do with it. A fresh perspective can give you a much-needed break away from your own bubble. Get away from your desk, meet up with a friend or new person, and talk about everything that doesn’t relate to your business. Don’t forget that there is more to life than your work, especially human connection. Self-care is your opportunity to serve yourself. As entrepreneurs, we often put the needs of others above our own because we are creating for others. Self-care is your time for self-love, self-reflection, and self-discovery. This will help you serve yourself so that you can serve others (or not. Be selfish for once). It’s especially easy to feel like you need to tend to other people’s problems first. This is part of customer service. But you also need to carve out time in the day for yourself when you don’t have to deal with emails, messages, or requests. The only way that I’ve stayed consistent with self-care is because it’s ingrained into my routine. It takes me 30-40 minutes in the morning to meditate, workout, eat breakfast, and journal. If you’re low on time, figure out which self-care activity is the most important for you (e.g. taking a bath vs. working out). Make time for that one thing instead of thinking you need an elaborate self-care action plan. Hunched over your desk? Check your posture. Stretch often so your body doesn’t morph into a chair-like shape. Remember to eat at regular times – keep snacks at your desk! Drink more water than coffee. Oh, and don’t forget that shower! These little things can start to slip away if we don’t pay attention to them. For those who have chosen to take this roller-coaster ride called entrepreneurship, you’re amazing. You just have to put in the extra effort to be super consistent with your actions. After all, you are making sacrifices with your time. You’re putting in more effort than a lot of other people because you want to create life on your terms. So, are you creating your own life or are you being a slave to your work? Remember that self-care fuels your dreams. How does self-care fuel your work? Thanks for sharing this Catherine! Its been so helpful cause taking time for myself Is really something I struggle with a lot. Though I figured, working out, going for a walk and having proper time to eat is my way of taking care of myself. It really serves me well in terms of staying motivated. Such an interesting read. I love practicing self-care a lot because that is the only way for me to feel rejuvenated. Thank you for this post Catherine! It made me realise how many times a week I’m choosing work instead of taking care of myself. I missed my yoga class almost every single day last week just because I was consumed with creating content. Always happy to share the reminder, Ania! Very nice read. Its so easy to get consumed into work that we do forget to take care of ourselves. I am dealing with this now and after reading this article it helped me to realize that I really do need to start taking care of myself. I’m glad this post came at a good time for you, Ashley! Great blog post Catherine! I’m currently studying Aryurveda self-care routines. This post definitely complements what I’m currently reading! Ooh that sounds so interesting, Ashley! Loveee this post!! Definitely needing the reminders and encouragement. I’ve definitely been neglecting my self-care (stopped working out, always working on the biz). I think the time management bit is so important. And also what I struggle with the most on a daily basis! So glad you liked the post, Sheila! Time management is everything. I really needed to read this! Thank you for the reminder and great advice. 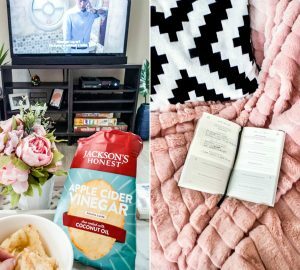 I’ve started to read your blog every week and it really gives me energy to look for those self-care moments daily for myself! Actually, reading your blog has become a weekly routine for me on Sundays, so I’m really looking forward to your next blog posts! Hope the next is already coming! Best wishes for you and keep doing what you’re doing! Aww so happy to hear that, Dina! Thank you so much, Farin! Hi, love your blog post. I’m a new blogger. I post blog posts about minimalism,organization and self care. I wanted to know, how can I grow my blog in those categories that I’m writing about? I posted like about 18 blog posts so far, and have not seen much genuine engagement. What do I do? Hope you can help. Hi Eissa! I would recommend sharing your blog posts on Pinterest and in Facebook groups. That’s where a lot of people find my blog!